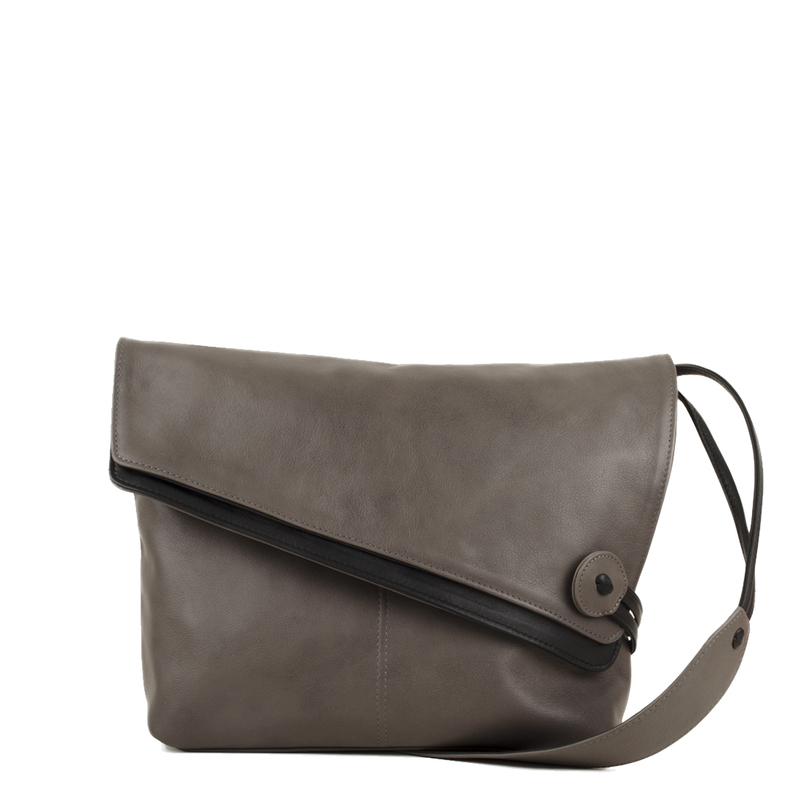 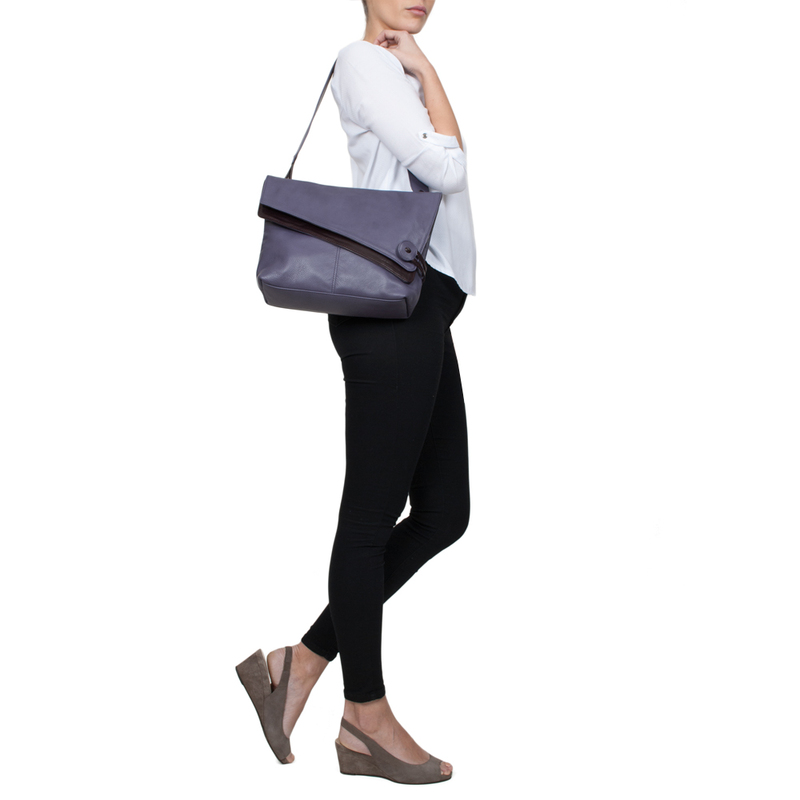 The Lindsay in grigio is a fab bag for all uses. 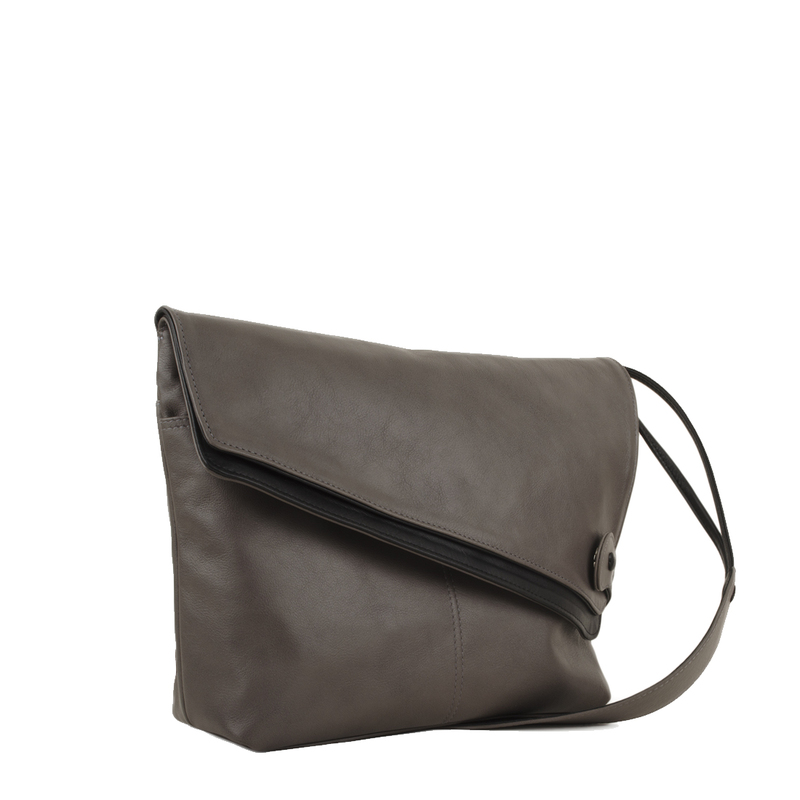 You can wear her as an across body bag and a shoulder bag by tying a knot underneath the flap, see model shot. 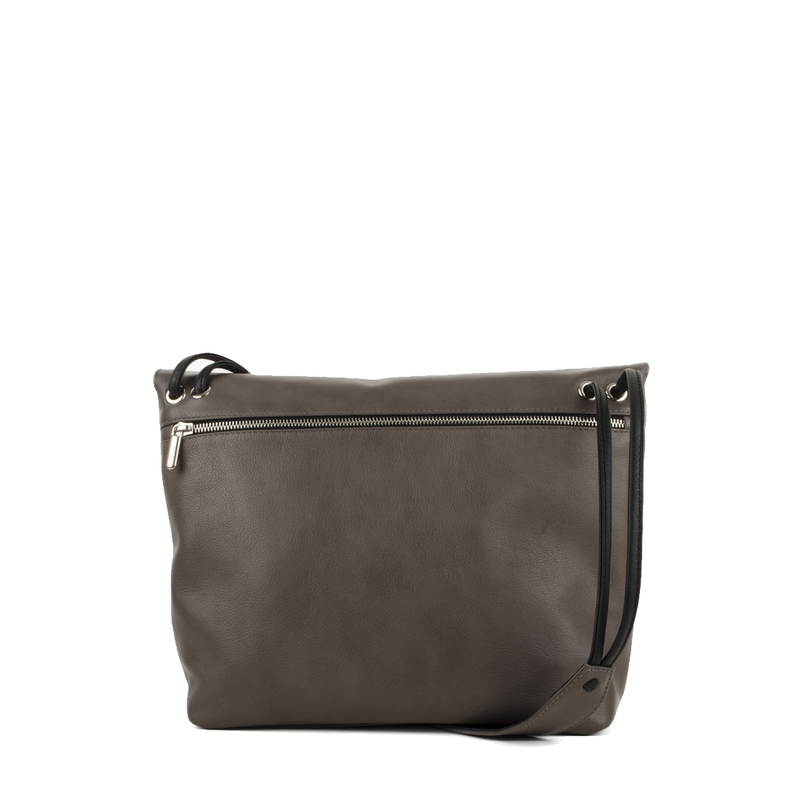 She is the perfect bag to hold your books and remain comfy all day thanks to its unobtrusive soft shoulder strap. 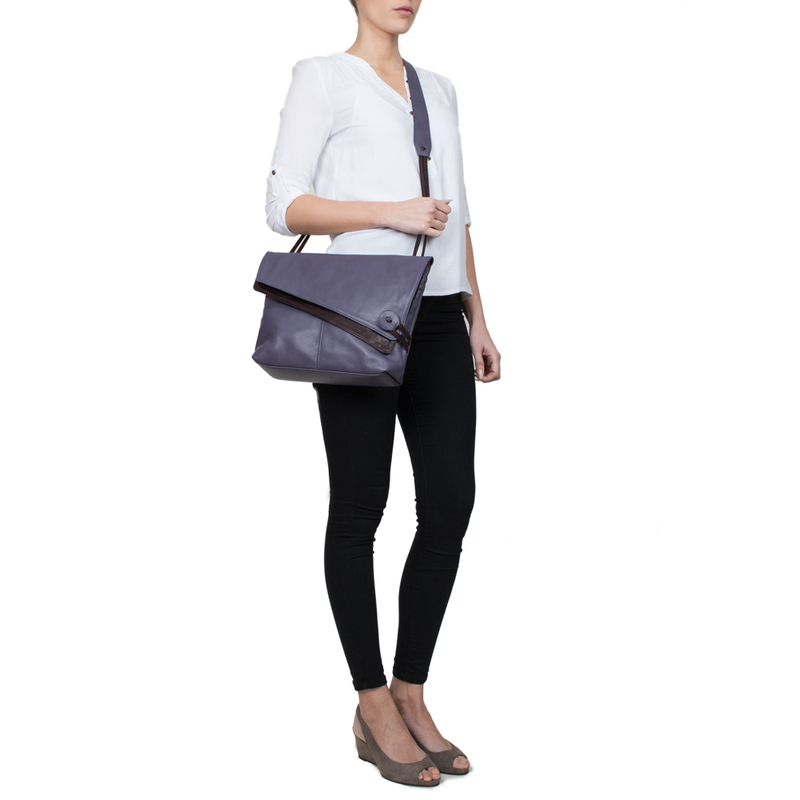 She is a great bag for travelling, a good document bag and perfect for carrying an I Pad or Kindle.The Lindsay has double pockets under the flap and a zip pocket on the back for all those important possessions. 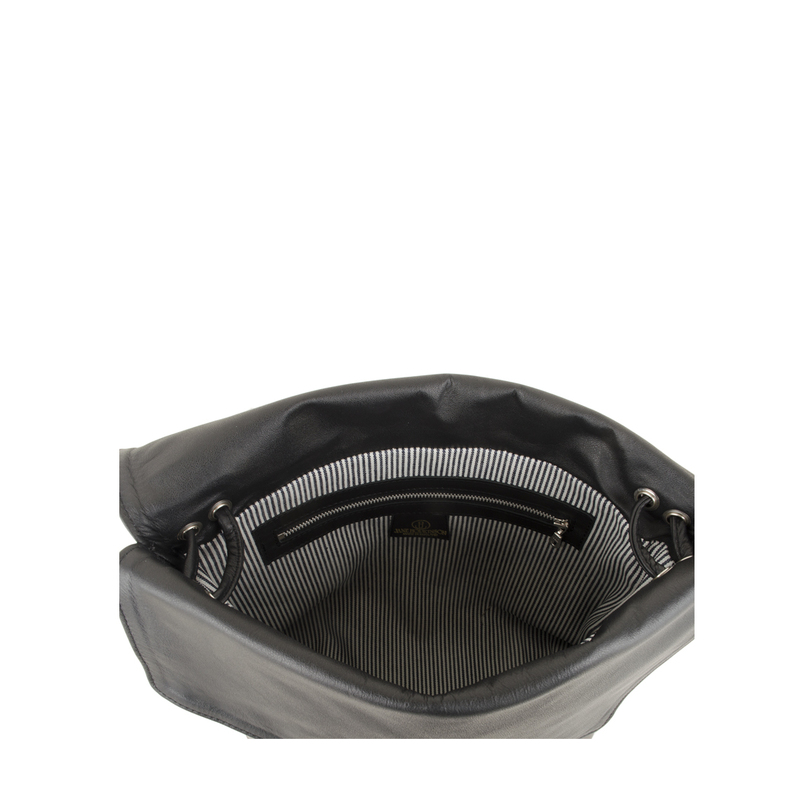 There is a magnetic clasp under the contrast flap, a cotton drill lining, inside zip pocket and mobile phone holder.